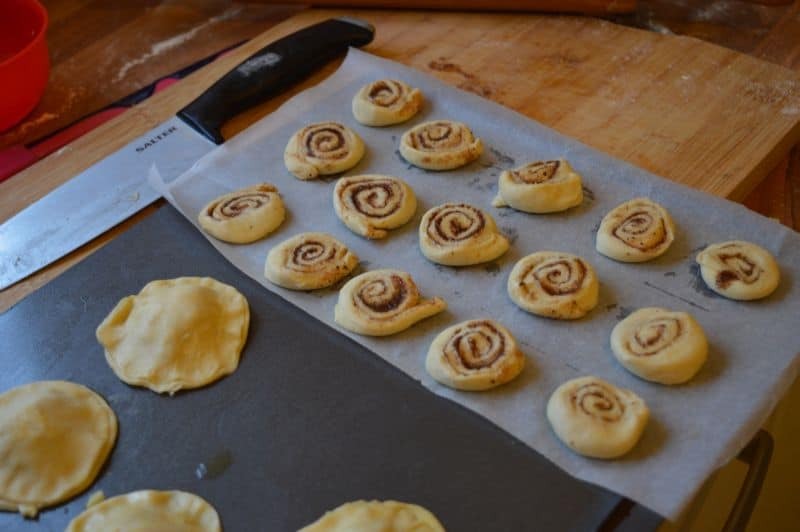 Puff Pastry Cinnamon Swirls are small sweet treats that you can serve as biscuits with tea or eat them as it is. These are crisp, lightly sweet with a wonderful flavour of cinnamon. You can make them of any size. 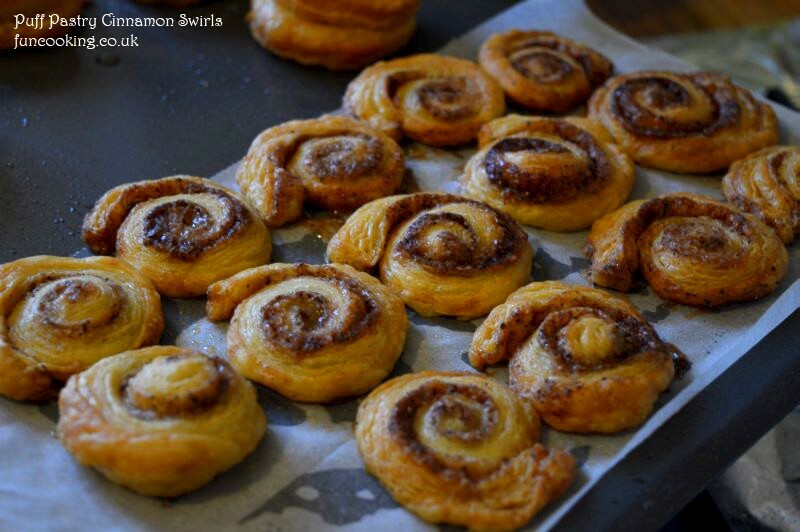 So these small cute cinnamon swirls are made by my daughter hamnah. I made puff pastry and gave her half of that. I said do what ever you want to do with it. She was so happy 🙂 . Her top hobby is to see cooking videos, so she knew what she is going to do. I am so proud of her. She also made some savory patties with leftover stir fry mince and cheese. 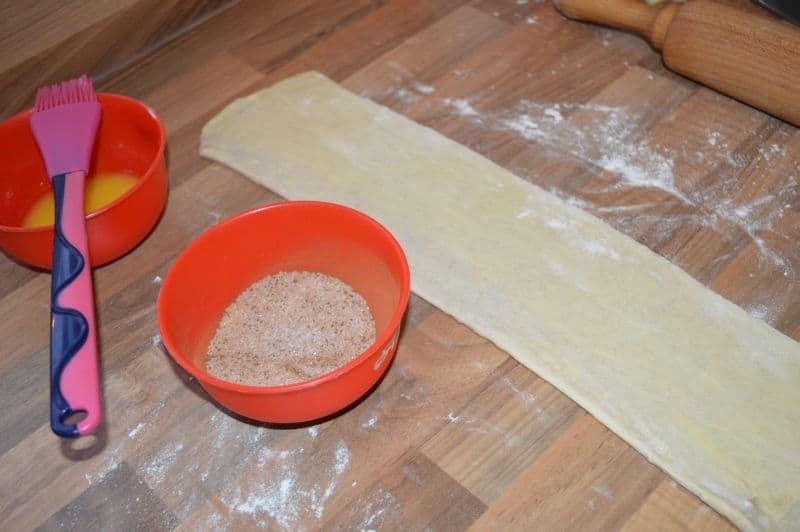 Mix sugar and cinnamon powder.Roll puff pastry with the help of some flour like shown in picture. 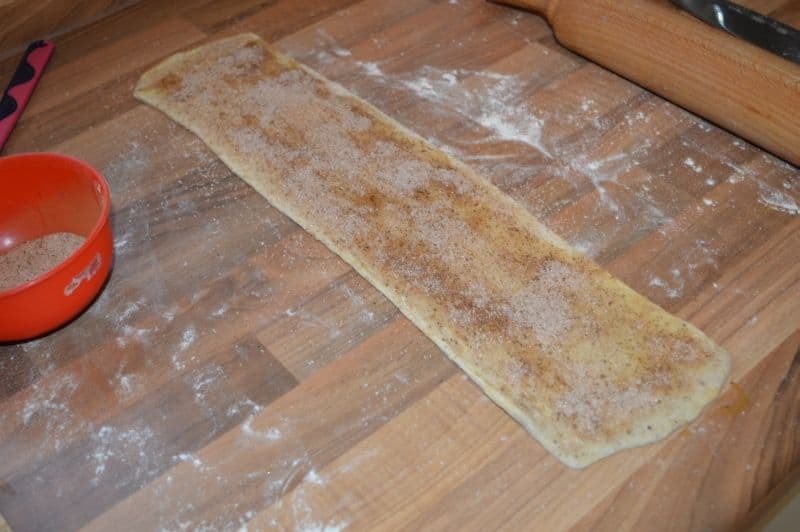 Brush some butter on pastry, sprinkle sugar,cinnamon on it. Cut with knife and place on a baking tray. Press a little to make them flat. Bake at 180 C for 15-20 minutes or until nicely golden brown.